Full tuition for the spring session is $200 per student. 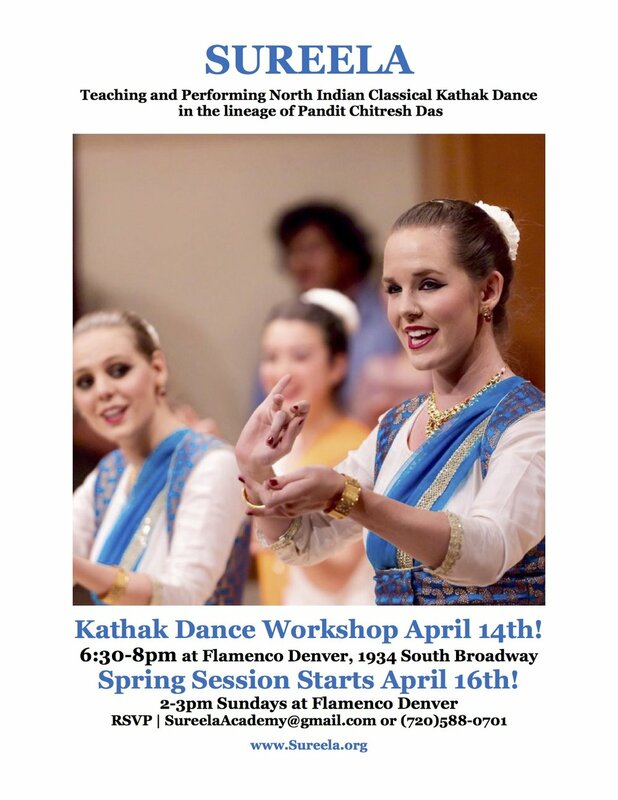 Hosted at Bella Diva Dance | 4309 E. Mississippi Ave.
Join us for a great afternoon of dancing, singing, and storytelling within the Kathak tradition! No previous experience necessary. The adult class will focus on rhythmic structure and nritta (pure dance). The kids class will highlight physicality and nrittya (storytelling), and will conclude with a performance for family and friends! How far would you travel for classes? <10 miles 10-20 miles 20-30 miles As far as it takes! Class Availability: When could you attend? If you answered other, please discuss your availability for classes below.